In early December, I stood on a limestone bluff above a timbered gulch in the Big Snowy Mountains Wilderness Study Area, 91,000 acres of the wildest land left in Montana. No houses, transmission lines or roads interrupted the expanse of green, about 30 miles outside Lewistown. No smoke curling up from cabin stovepipes. Wildflowers bloom in the Big Snowy Mountains Wilderness Study Area in central Montana. It is the “quietest and darkest” site in the state. On a hike through spruce and ponderosa, my friends and I studied tracks in the snow: lots of mountain grouse; at least one bobcat, hot on the trail of a snowshoe hare; mule deer and the occasional elk. Far from the limelight that brings 4 million tourists and their cars to Yellowstone annually, the Big Snowies WSA isn’t showy, but it does vital work: nurturing wildlife, growing trees, delivering clean water to the valley below. But all that could change in the near future. If a Montana senator’s proposed bill passes, this tranquility could be shattered by the buzz of snowmobiles or the roar of excavators. Two days before my hike, on Dec. 7, Sen. Steve Daines, R-Mont., introduced a bill that would eliminate wilderness protection from the Big Snowies as well as from another 358,500 acres of Montana wilderness study areas. The bill would release all these acres of national forest to normal multiple use management — effectively the largest reduction in protected public lands in Montana history. So what, exactly, is on the chopping block? Some of the wildest terrain left in North America, according to Travis Belote, an ecologist with The Wilderness Society. Belote examined the five WSAs included in the bill, looking at noise levels, light pollution, proximity to population centers, presence of roads and human activity, wildlife connectivity, and the presence of large carnivores like grizzly bears and mountain lions. Belote found the WSAs are “wilder than half of all national parks” in the Lower 48 states. The Big Snowies WSA is the “quietest and darkest” of the five, and the Sapphires and West Pioneers WSAs have more intact wildlife communities than 95 percent of Lower 48 national parks. Kent Peak in the Sapphire Wilderness Study Area, where the wildlife community is more intact than 95 percent of national parks. The Montana WSAs came into existence in 1977 through a bill sponsored by Sen. Lee Metcalf, D-Mont., who anticipated a future of greater population density and increased demands on the wildest parts of his state — rich not only in scenery, but also in minerals, timber and recreational potential. Metcalf’s bill froze development of roads and infrastructure, motorized use and commercial activities like timber harvest and mining, until the Forest Service could ascertain whether any of the acreage ought to be permanently protected as wilderness. In 1988, a bill sponsored by Sen. John Melcher, D-Mont., would have resolved the matter by designating several hundred thousand acres as official wilderness and releasing most of the rest to multiple use. But President Ronald Reagan pocket-vetoed it, and the WSAs have been in limbo ever since — a source of either relief or aggravation, depending on whom you ask. “It doesn’t matter if you’re a hiker, biker, motorized user, summer user, winter user — these lands belong to all of us,” said Kerry White, a Republican state legislator from the Bozeman area who founded a group called Citizens for Balanced Use, which advocates for increased motorized access on public lands. 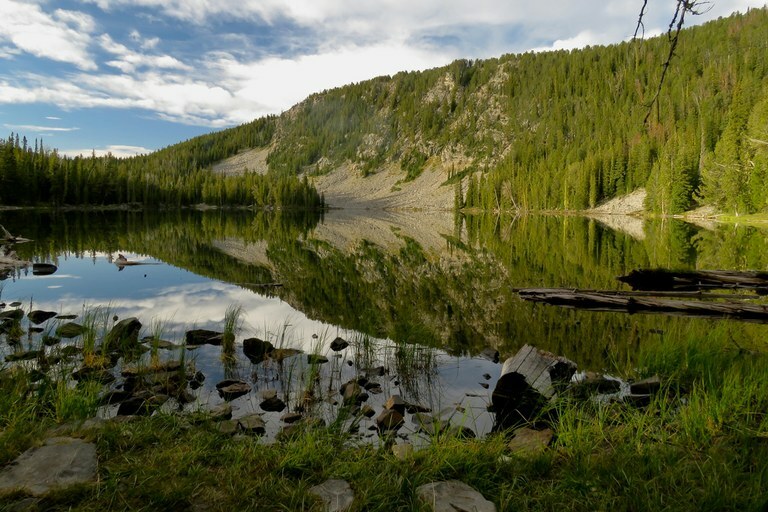 “Over 80 percent of the Gallatin (National Forest) is restricted to the elderly, the disabled, war veterans coming back who can’t walk to access these lands. Who’s to say they shouldn’t be able to go back there and ride these roads … on a four-wheeler?” White also claims the WSAs contribute to the timber industry’s decline and make wildfire management more difficult, though there is no consensus that either allegation is true. Stone Lake in the West Pioneer study area, where the wildlife community is more intact than 95 percent of national parks. All of the wilderness study areas in question are accessible to anyone on foot or on a horse. Most allow grazing, and some even allow limited motorized use consistent with 1977 levels. None of the Montana wilderness advocates I spoke to said they expected every acre currently under protection to become wilderness. “Montanans expect there to be a sensible conversation and process that resolves these places in a durable way. And that process should include consideration of eliminating portions of these, protecting some of these as wilderness, or other designations that are more suitable to the times,” said John Todd, conservation director for the Montana Wilderness Association. The draft Helena - Lewis & Clark National Forest Plan recommends the entire Big Snowies WSA for wilderness designation and most of the Middle Fork of the Judith WSA for primitive area designation, which is often a step toward wilderness recommendation. Similarly, the updated travel plan for the Bitterroot National Forest eliminates motorized use on the Blue Joint and Sapphires WSAs, preparing the ground for future wilderness designation. There are already examples in Montana of the durable solutions Todd describes. In 2014, Congress passed the Rocky Mountain Front Heritage Act, which added 67,000 acres of wilderness near Choteau, Montana. The bill was the product of collaboration between horse-packers, ranchers, mountain bikers and environmentalists, and even Daines, Montana’s at-large representative at the time, supported it. In 2017, Sen. Jon Tester, D-Mont., introduced the Blackfoot Clearwater Stewardship Act, the fruit of more than a decade of work by ranchers, snowmobilers and ATVers, outfitters, timber companies and conservation organizations. 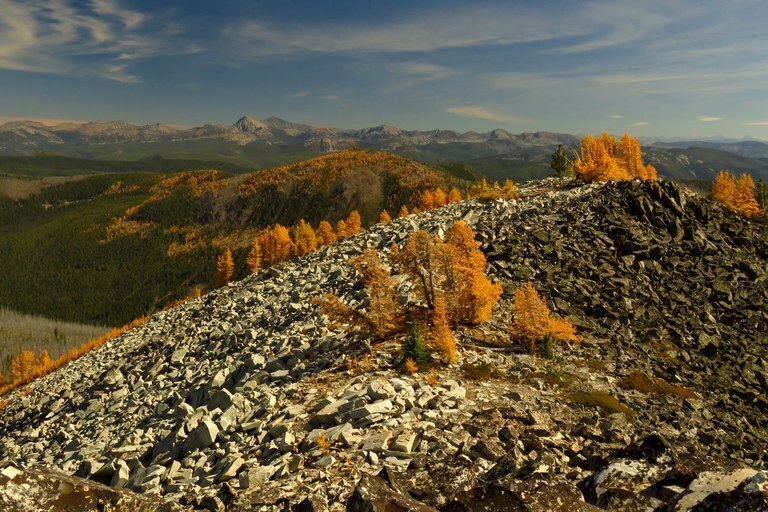 It would add 80,000 acres of wilderness, establish recreational areas for off-roaders and snowmobilers, and put funds toward forest-restoration projects to help the timber industry. That Daines is describing his bill as a “bottom-up” piece of pro-public lands legislation that comes at the request of “countless Montanans … across all 56 counties” has leaders of Montana conservation and wilderness nonprofits scratching their heads. While Daines claims the bill represents local priorities, so far those groups have been cut out of the discussion entirely. The Montana Wilderness Association’s Todd says he offered to help with a WSA bill several times in 2017, but Daines’ staffers told him no such bill was imminent. Daines’ office sent Todd the bill’s text on the same day he submitted it in the Senate. Similar reports came from The Wilderness Society, the Montana Wildlife Federation and Hellgate Hunters and Anglers. Leaving out conservation groups “undermines collaboration, undermines opportunities to work together, and undermines places that could be included in the Wilderness Preservation System,” Todd said. Bills like Daines’ allow “legislators who are often beholden to a small local group to go forward with their agenda, and I feel like that’s the antithesis of the public land system we’ve established,” Dawson said. The Daines bill hews closely to a resolution proposed by Rep. White in the 2017 Montana legislative session calling for the full release of the WSAs to multiple use. 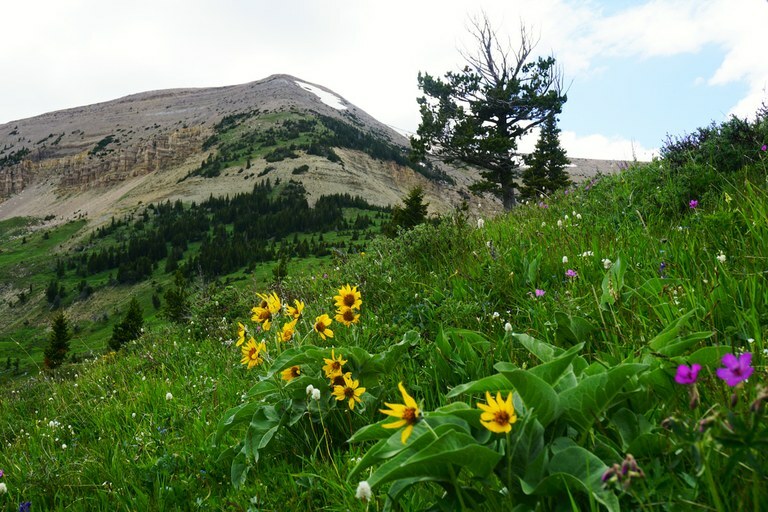 But unlike that resolution, it includes no language indicating that Congress could confirm one or more areas “for inclusion in the National Wilderness Preservation System.” That provision was added to White's resolution after over 2,000 supporters of the Montana Wilderness Association called their representatives to complain. Seventy-four people showed up at the statehouse in Helena to testify against the draft of the resolution; just 10 spoke in support. Daines says his bill comes at the urging of county commissions and local citizens, but he also has the backing of statewide and national groups, including the Montana Trail Vehicle Riders Association, the Montana Mining Association, the Montana Snowmobile Association, and Safari Club International and the anti-wolf organization Big Game Forever. Of the four counties listed as supporters by Daines, two, Judith Basin and Ravalli, claim to have solicited public input before issuing their letters of support, although a local group in Ravalli County contends the commissioners “did not provide the public with sufficient opportunity to comment, as required by the Montana State Constitution and state open meeting laws.” Residents of all four counties recently submitted letters calling on their commissions to withdraw support. In response, three of the commissions are planning to hold new public meetings. “Let’s see what ideas are out there” for the future of these WSAs, said Beaverhead County commissioner John Jackson. Back in the Big Snowy Mountains WSA, as we hiked upward toward Lost Peak, we came across the big surprise of the day: the tracks of a lone pine marten. “I’ve never seen a pine marten in the Snowies,” Doug Krings, 38, said. Krings grew up in Lewistown and has hiked and hunted the Snowies his entire life. “I thought they were trapped out years ago,” he said. Elliott Woods is a freelance writer in Livingston, Montana, focused on environmental conflict, conservation and public lands. Elliott is a correspondent at Outside Magazine and a contributing editor at the Virginia Quarterly Review.